We now carry the sail sets as well as the masting sets for all the Shipyard Paper Model series ship kits (1/96-scale MK series). Sail sets include line for bolt ropes. 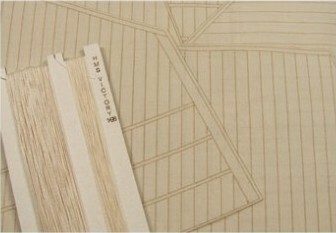 Note that some larger subjects have sails broken up into two different sets: A Sail Set and a Studding Sail set. 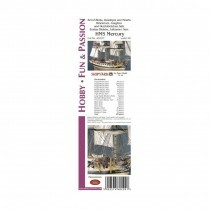 Also, there is no Studding Sail set for HMS Mercury, nor are there any sail sets for the Fluit Schwarzer Rabe. 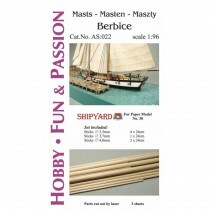 Mast and Yard sets include all necessary dowels, plus small laser-cut sheets for cross trees, mast caps and yard arm details. For larger ships, the sets include mast tops.